‘O for a thousand tongues to sing my great Redeemer’s praise, the glories of my God and King, the triumphs of His grace!’ wrote the 18th century evangelical hymn composer Charles Wesley. It must have been an extraordinary experience to be present as, for example, a chapel-full of Cornish tin miners and their families, recently converted to having faith in the Lord Jesus Christ through John Wesley’s preaching, sang their hearts out to his brother’s hymns. But sadly these days, even in large evangelical churches with lots of young people, congregational singing is dying out. Why? Because of the ‘worship band’, according to a penetrating analysis by Mike Raiter, director of Australia’s Centre for Biblical Preaching in Melbourne. An upfront group of singers behind a bank of microphones backed by guitars, keyboards and drums is disenfranchising congregations by drowning them out. There may be a thousand people present but no longer a thousand tongues to sing – just the elite few on the stage. It is not only congregational involvement in hymn singing that is disappearing. So is congregational participation in spoken liturgy. Last month I attended three evening services at a thriving Anglican evangelical church with a worship band singing exclusively modern choruses, and sermons lasting around 40 minutes. At two of the services, there was no prayer of confession for the congregation to participate in, no Creed and no Lord’s Prayer. Does that matter? After all, this church is full with lots of young people present listening to the Bible being taught. 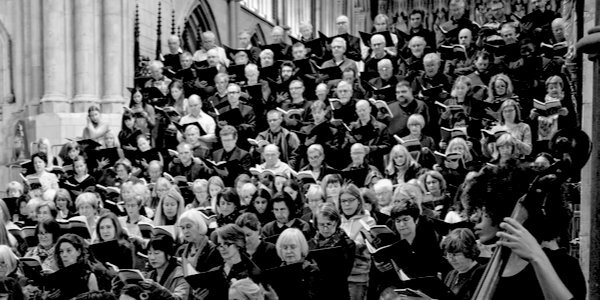 Yes, in the long term the absence of participatory liturgy and congregational singing does matter, because passive congregations breed passive Christians. Of course, it is possible to go through the motions with hymn singing and liturgy. But provided the mind and heart are engaged, the biblical truth we speak to one another in church, whether in liturgy or hymnody, becomes internalised. We begin to own God’s truth and by the grace of the Holy Spirit become empowered to live it out in our daily lives. So, why not drop the ‘worship band’ and allow the congregation to sing their hearts out to biblical truth accompanied by a keyboard and maybe a couple of stringed instruments? Also, why not shave some time off the 40-minute sermon and allow the congregation to apply biblical truth to themselves through liturgical participation?